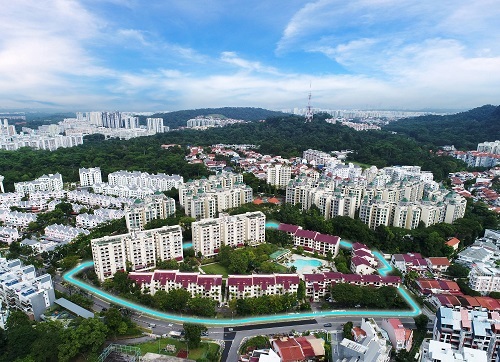 Last quarter, residential land acquisitions by developers continued to drive Singapore’s property investment sales, which grew 89% y-o-y to $11 billion in 1Q2018. Colliers International expects that total property investment sales will grow 15% this year to reach $46 billion, and a further 5-10% growth is forecast for 2019. Large collective sale transactions like Pacific Mansion ($980 million), Park West ($840.9 million), Pearl Bank Apartments ($728 million), Goodluck Garden ($610 million), and Brookvale Park ($530 million) caused the value of collective sales to increase 29% q-o-q to $5.83 billion. In 1Q2018, the private residential segment grew 16% q-o-q and 247% y-o-y to $7.9 billion, and collective sale transactions accounted for 64% of total residential investment sales. Given the pace of collective sales so far this year, it is likely that the value of collective sales this year will trump that of 2017. There were 17 collective sales in 1Q2018 worth $5.8 billion, which is 72% of the total value of collective sales in 2017 which had 27 deals worth $8.13 billion. The highest volume of collective sales recorded in a quarter was in 2Q2007 when $6.5 billion was transacted, says Colliers. Developers have shifted their interest from suburban to prime Districts 9, 10, and 11. Eight sites worth $2.32 billion were sold in the core central region last quarter, compared to eight sites worth $1.05 billion in 2017. Premiums have also fallen from an average of 10.5% in 2017 to 4.9% in 1Q2018, but this could be due to higher indicative prices and development charges, and more selective bidding by developers.